A major sponsor benefit is having your business featured on the event’s t-shirt! Hundreds of people wear and advertise your business each time they wear their shirt for years to come! New! Sponsor expo at our BBQ event. Set up a booth or display! All sponsors receive their choice of event items including tickets to the Run/Walk, BBQ Tickets and/or T-Shirts! Register online and we can send an invoice or you may pay using a credit card. Logo artwork is needed no later than Friday, June 15th. Logos not submitted in time will result in the business name being printed in plain text. 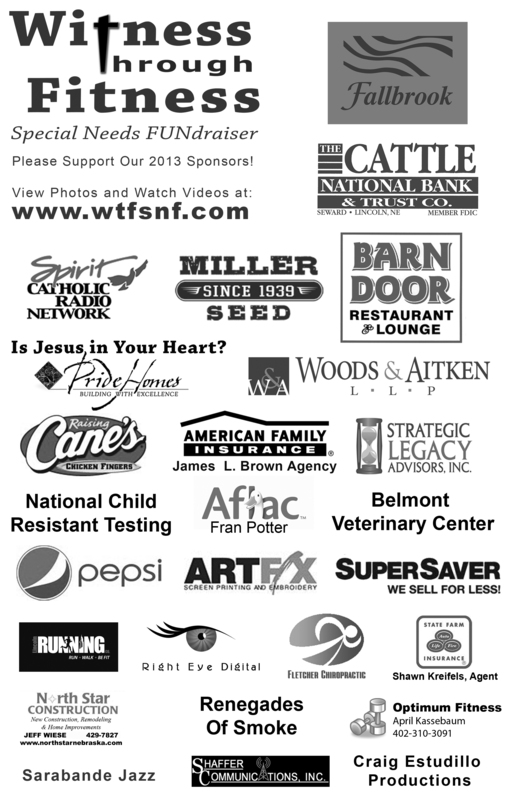 Send logos to brian@wtfsnf.com. Limited availability on a first come, first served basis. 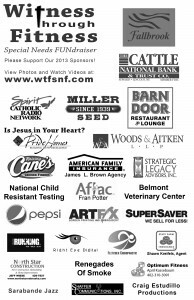 Contact Brian Nelson at 402-937-8540 or brian@wtfsnf.com with any questions or secure sponsorship.